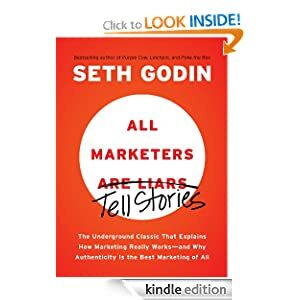 While browsing in the marketing section of my favorite local bookstore, I came across All Marketers Are Liars by Seth Godin. 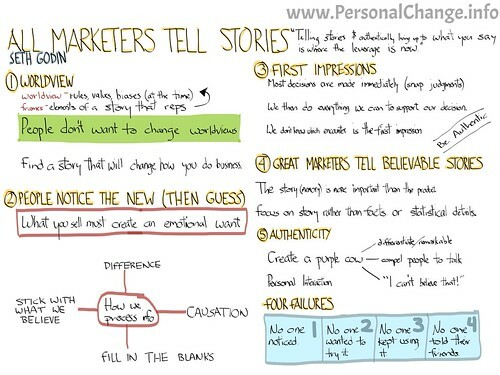 On the front cover, "Are Liars" is crossed out and "Tell Stories" is written in. The book is a fairly quick read and provides many helpful points when crafting a message, from promoting your yard saleto planning multinational marketing campaigns. Below is a visual summary of the book. A PDF of the summary is available for download.